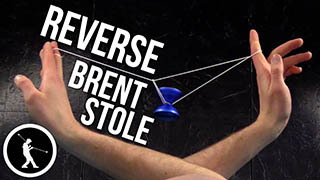 Learn how to do Catch Style Binds, where you grab the tail before activating the bind, plus an advanced Regen Combo. 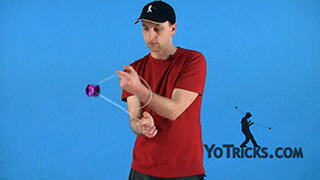 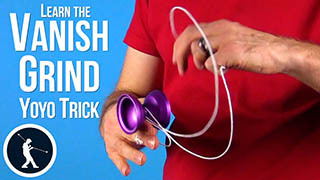 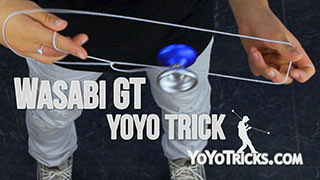 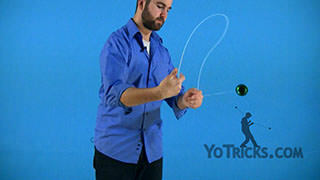 Catch Style Binds Yoyo TrickIn this video I am going to be teaching you about catch style binds, including the Front Throw Catch Bind, the Side Throw Catch Bind, and this regen combo involving Catch Binds. 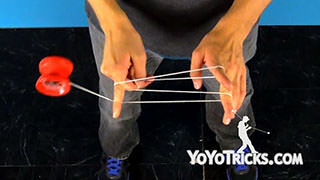 Now, before you learn this trick, you will want to make sure that you go back and watch our video on Three One Handed Laceration Style Binds, the intro to Regens, and also it will be helpful if you watch out video on Bind Theory. 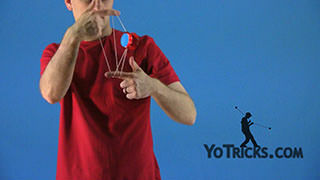 To start this trick, you are going to perform a front throw. 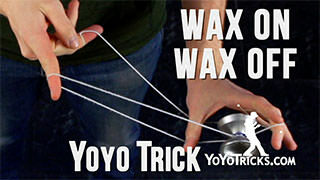 Then, you are going to perform your basic laceration bind, but instead of letting the yoyo fall into the string like it just did there, binding, you are going to grab the tail of the string as the yoyo is about halfway down it. 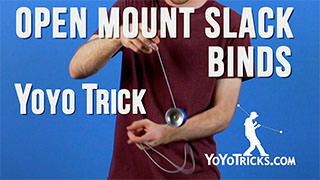 That way, you are catching it in the mount. 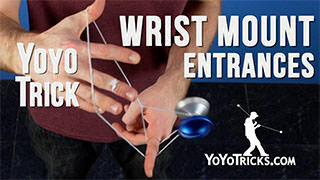 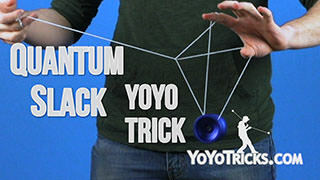 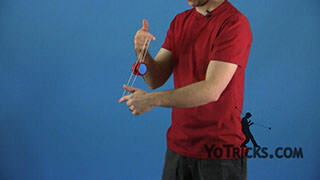 Then, to perform the bind, you are going to swing the yoyo away from you, letting go and using your throwhand, pulling in the opposite direction, causing the yoyo to bind. 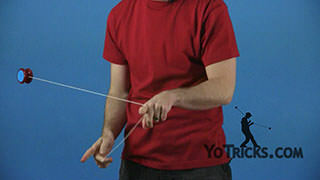 If you are having trouble with this trick, make sure that you are grabbing the string and that it is landing in the palm of your hand. 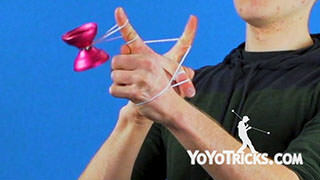 That way, it is not landing on any of your fingers and snagging in a weird way. 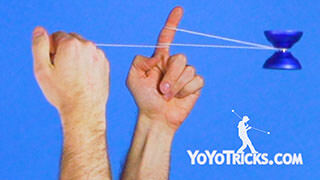 If you are having trouble with it snagging, I also recommend that you throw it a little bit softer. 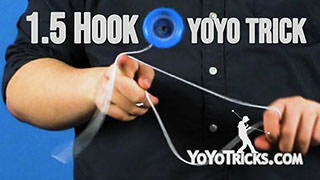 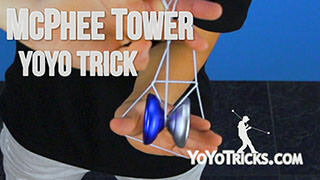 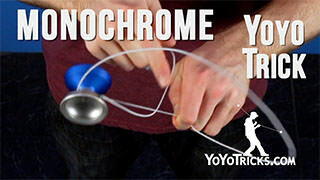 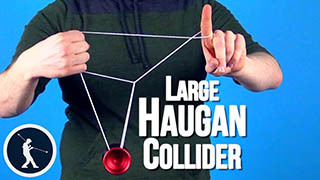 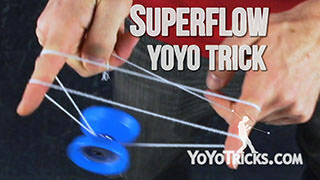 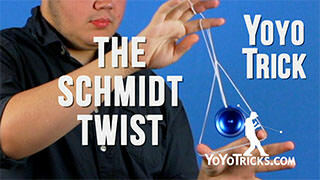 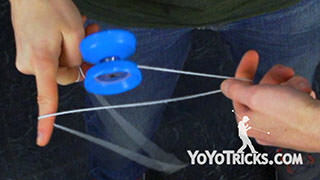 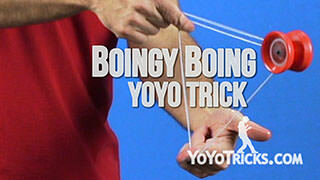 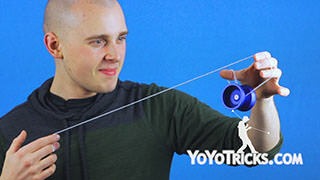 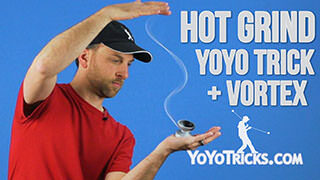 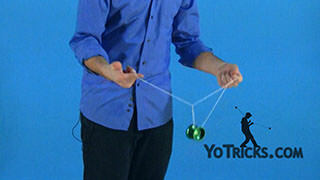 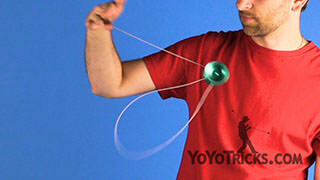 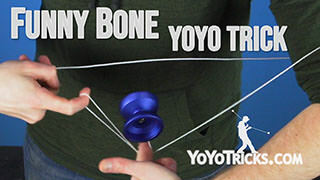 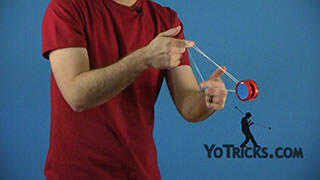 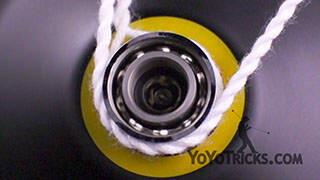 This will make the yoyo spin slower. 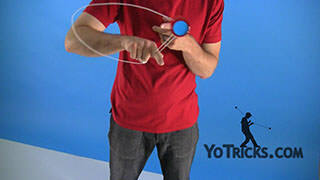 That way, you have more time and there is less chance of it snagging. 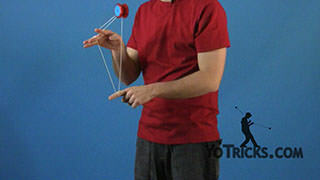 Now, once you have that one down, we can move on to the side throw catch bind. 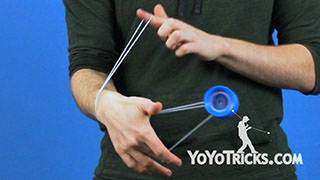 You will want to make sure you know the frontstyle one first because this one is a lot more difficult. 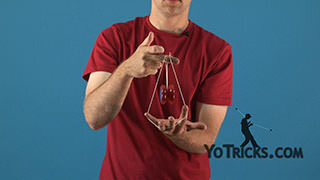 You will want to have a grasp on the concept. 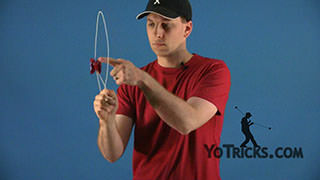 To start, you are going to throw a breakaway. 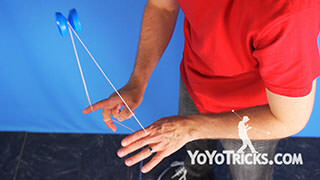 Then once you are here, you are going to pull the yoyo up and then swing the string to the outside and around the yoyo, catching the tail with your palm facing up and the yoyo to the outside of your hand. 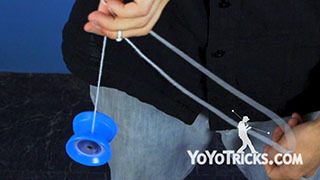 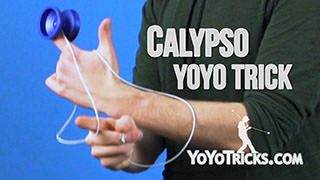 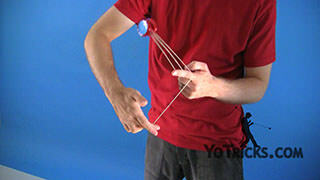 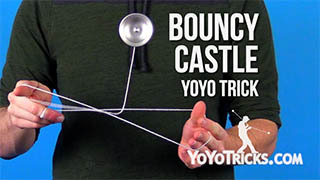 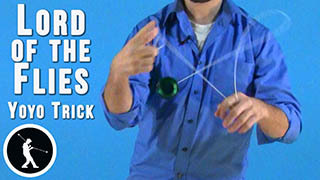 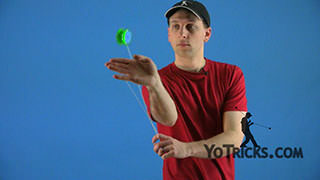 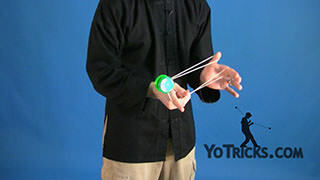 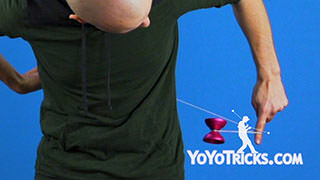 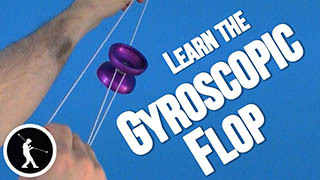 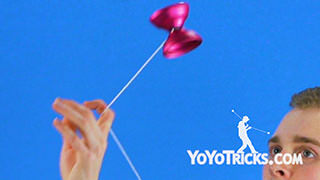 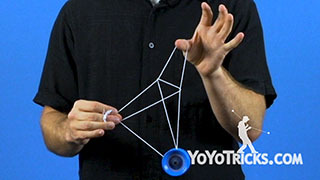 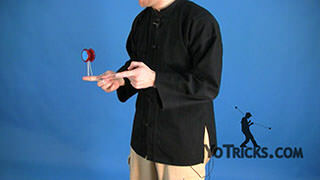 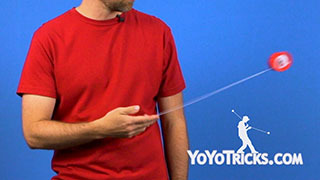 To bind, you are going to swing the yoyo to the outside and upwards, letting go of the string and pulling down with your hand, catching the yoyo with your palm up. 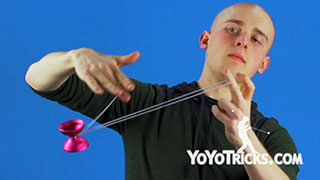 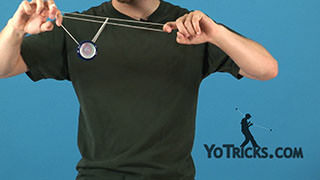 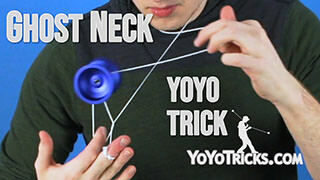 If you are having trouble getting the string to wrap around the yoyo, make sure that you are pulling the yoyo up to about chest height. 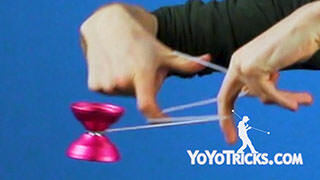 That way, the yoyo is in the air long enough for you to wrap the string around the yoyo and catch it. 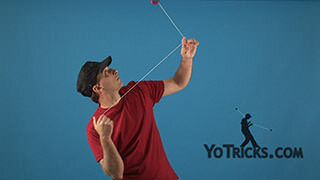 Now, if you are having trouble getting the string around the yoyo to catch it in time, we recommend that you over exaggerate that whipping motion a bit. 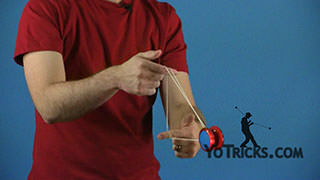 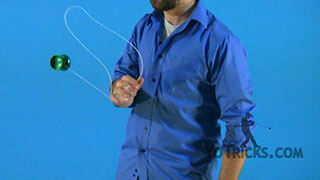 That way, the string moves quicker, allowing you to catch it faster for the bind. 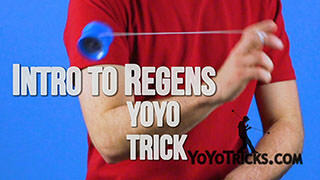 Once you have got those two down, you can start working on the regen combo. 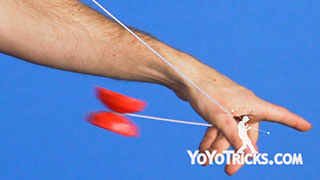 To start, we are going to throw a front throw. 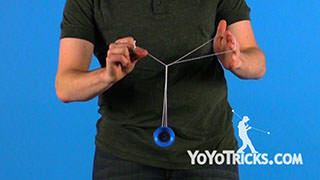 Then from here, you are going to pull the yoyo up and grab the string about halfway down, performing this slack motion that looks similar to a propellor. 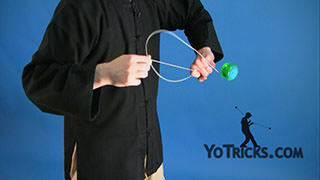 Then you are going to perform your front throw catch bind, swinging the yoyo to the opposite side of your body, and letting go of the string. 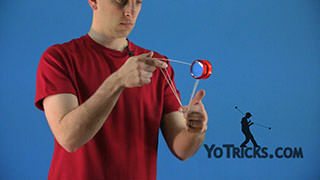 But instead of catching the yoyo like you normally would, you are going to let it go around your hand and perform a regen. 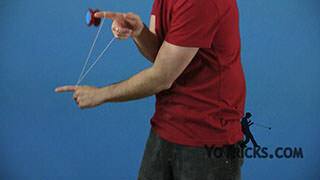 Once you are here, you are going to perform an upward keychain whip. 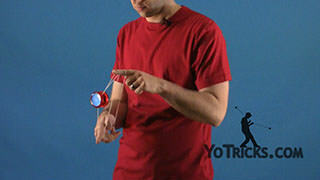 Once you put that all together, it should look like this. 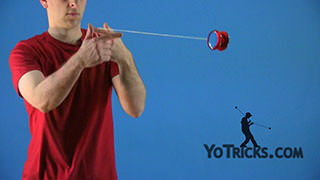 Now, an upwards keychain whip is similar to the normal keychain whip, but you are going to perform it as the yoyo is going over your hand. 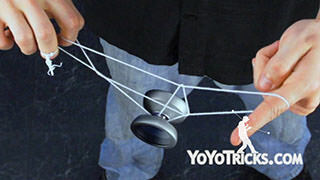 That way you catch it with the string draped on your index finger like this, and the yoyo lands on the outside of your hand. 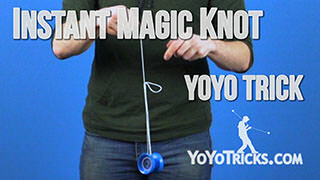 If you are having trouble with this trick, we recommend that you just practice it by doing a normal keychain whip and rolling to the outside of your hand. 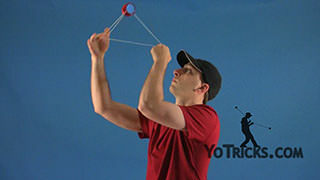 But, once you get back around to practicing it, make sure that you are practicing it straight off of a throw or a regen. 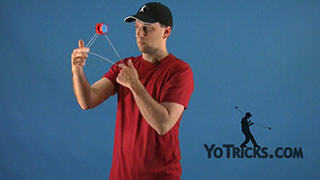 This makes it a lot easier to learn and it will help you out more when you start incorporating it into the regen. 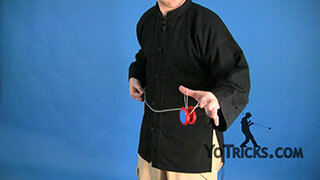 Once you are here, you are going to perform your side throw catch style bind. 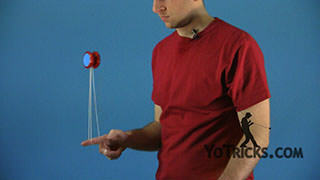 But, you are going to swing the yoyo forward instead of upwards like you normally would. 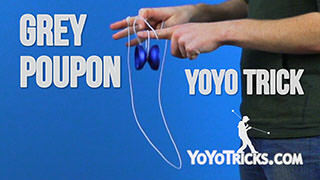 Then turn your body as it rolls to the inside. 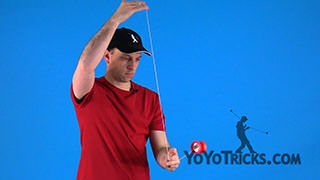 Then you are going to launch the yoyo upwards, letting go of the string and pulling down with your hand to cause it to bind. 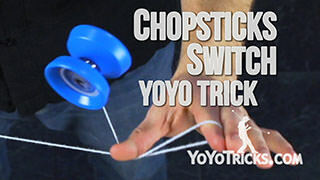 So, have fun messing around with these and incorporate them into your own combos. 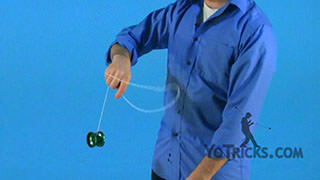 That is how you do Catch Style Binds. 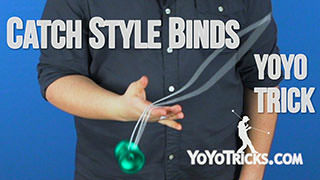 Once you have got down catch style binds, don’t forget to catch your catch style binds with style. 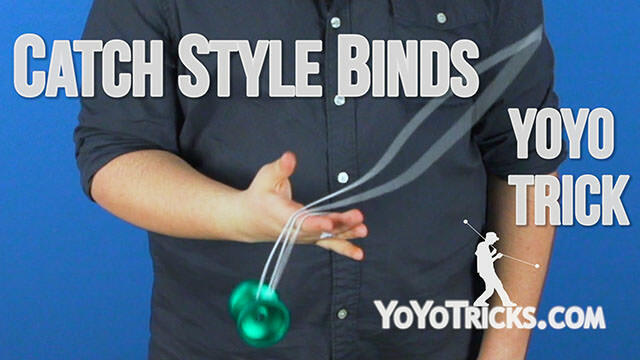 Also, don’t forget to bind your catch style binds with style.